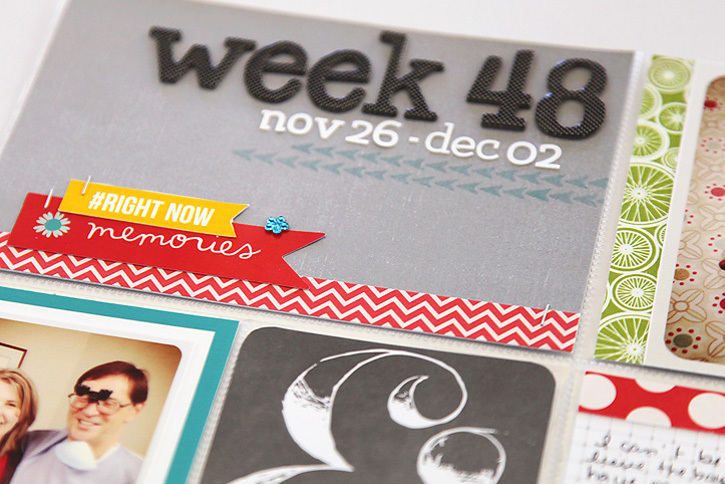 I'm excited to show you some more sneaks of my Project Life layouts made with the January kits from Studio Calico! 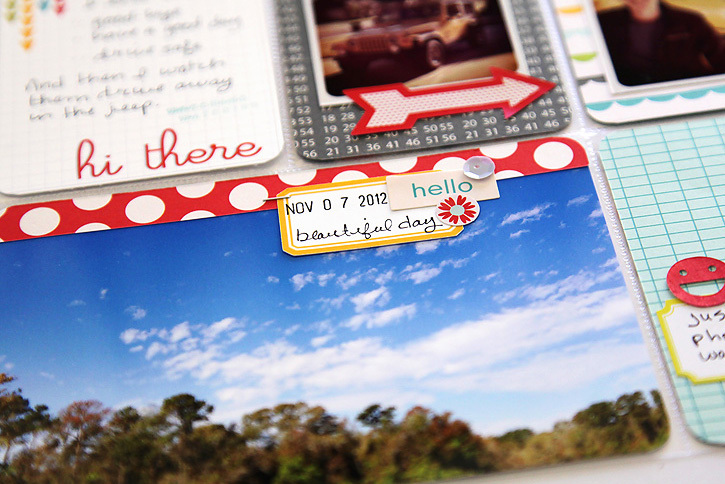 I used the main scrapbook kit, the card kit, add on 3 and the project life kit. 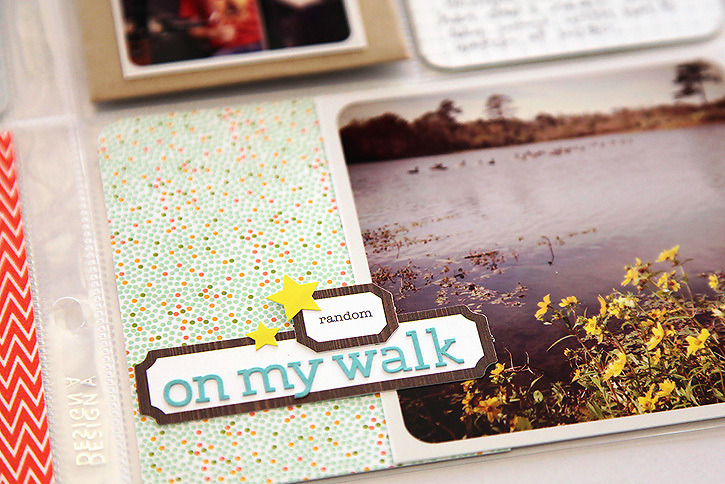 It was so much fun working with the kits for the first time to put together my project life spreads!! I've been doing project life for three years now and in the past I've only used core kits with just a small amount of other embellishments thrown in. 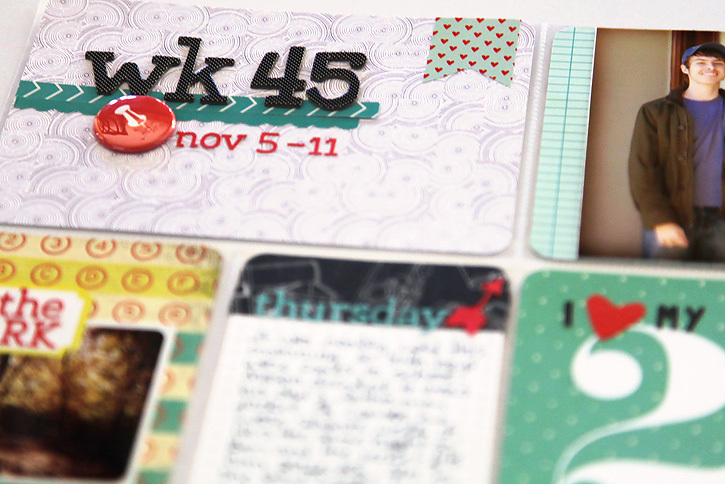 The project life kit for January is sold out for now (although there's a chance they will be making more). If you want to get on the waiting list for February you can sign up here. 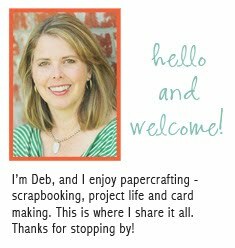 I will also be using the card kit each month. 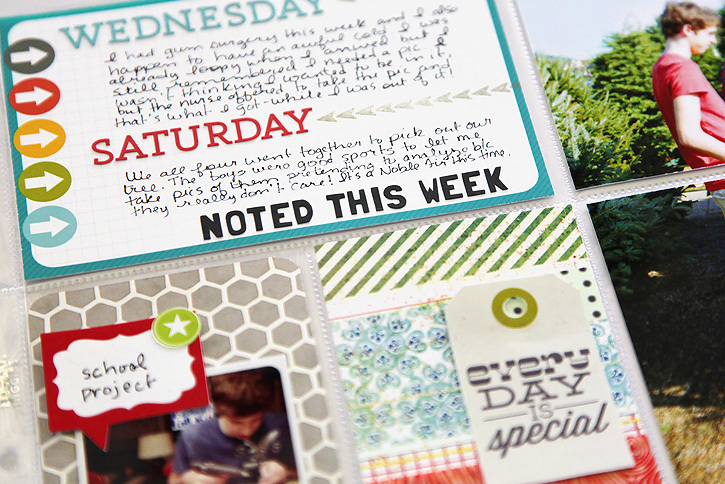 The smaller scale of the patterned papers is perfect for project life! 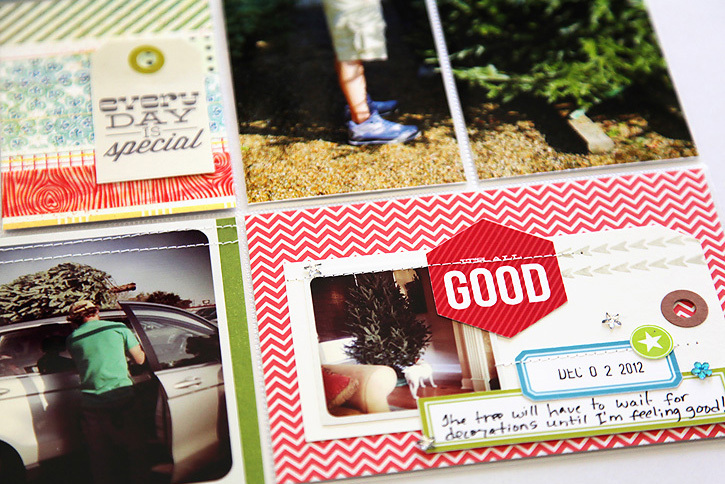 These first two are from my project life only spread. Reveal will be at midnight this Thursday Eastern time! And don't forget if you want to sign up for the Day by Day class the deadline is December 31. Your layouts are so cool! Thanks for always sharing these layouts and kits with everyone, too. 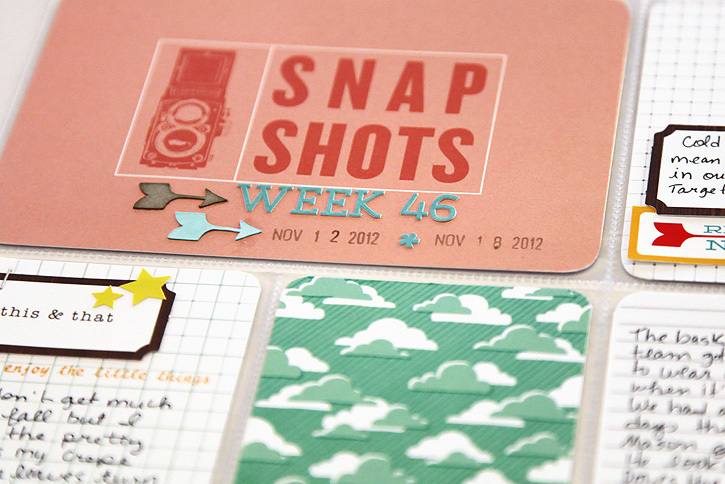 I decided for 2013 to do more of a Project 52 approach (give or take an extra shot here or there!) and make an apple book out of them! This is really nice. I liked it. Thanks for sharing.